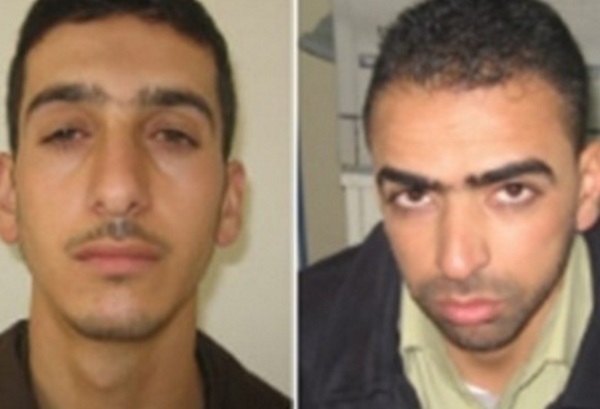 The murderers of Gil-ad Shaer, Naftali Frenkel and Eyal Yifrah. According to Army Radio, IDF troops and the Police Counterterrorism Unit, operating on Shin Bet information, raided a Hebron house in which the terrorists were believed to be hiding early Tuesday morning. During the ensuing clash, Qawasmeh and Abu Aisheh exited the house and opened fire at the soldiers, who returned fire, killing them both. This is the best possible ending to a tragic story. Qawasmeh and Abu Aisheh will not be imprisoned with other Hamas terrorists, eating halal food and taking correspondence courses for college credit while they wait for the next kidnapping and ‘prisoner exchange’. They will not go home in a few months or years to a hero’s welcome. They may well get schools or summer camps named after them, but that’s fine with me — because they are dead, and nothing is more permanent. 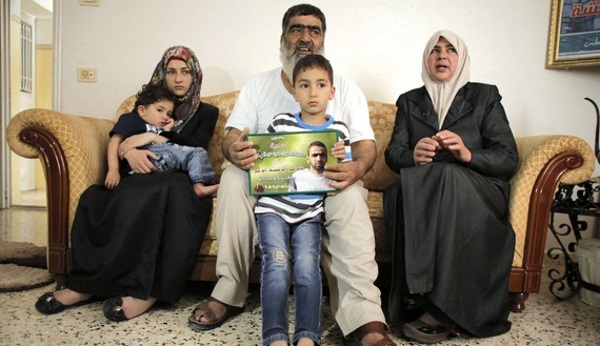 The family of dead murderer Amer Abu Aisheh. Feel bad for them? Don’t — they were with him all the way. Perhaps Human Rights Watch will issue a report about how the security forces didn’t have to kill them, that they could have been taken alive. And then they could have paid their debt to society in a relatively comfortable prison, together with their friends. Maybe they could even have conjugal visits from their wives. They don’t understand. They think they are civilized, but what they are is ignorant. They don’t see that not killing these murderers would be a statement of weakness and an invitation to more murders and more kidnappings. They don’t see that the best response to violence is the most disproportionate one, the one that strikes the enemy a blow from which he can’t recover. And they don’t see that it is important for us, too, that the murderers get precisely what they deserve. It is important to us for everyone, our friends as well as our enemies, to really understand for once and for all that it is not OK to kill Jews because they are Jews. It will not be allowed any anymore. If you kill us, we will kill you. So, yes, I am very happy that these murderers are dead. Hamas itself still lives, because the IDF was trying (too) hard to be civilized, at least until the last couple of days of the war. Maybe next time. But at least today there are two fewer murderers walking around than yesterday. That is some progress.